Whether a film is overrated or not is very, very subjective. ‘Overrated’ is a very strong word and should not be thrown around lightly when trying to describe a film as it will tend to lose its meaning. That being said, this movie is by far the definition of an overrated film, to me. 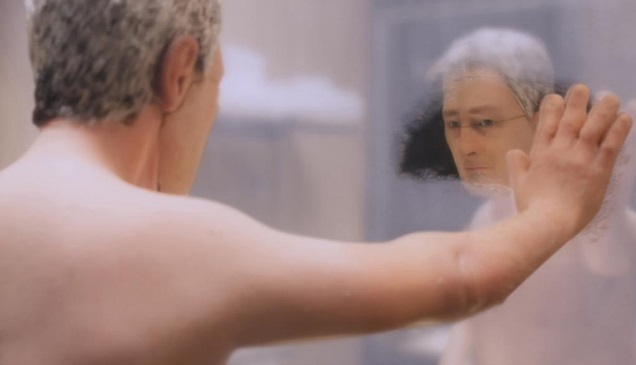 ‘Anomalisa’ is a Stop-Motion Drama that highlights a day in the troubled life of Michael Stone where something out of the ordinary happens and he explores a relationship with a woman named Lisa. This is an incredibly small film and not many people would have heard of it. But once i did hear of it, seeing all of the incredible reviews it was getting and the 5/5’s on the poster made me very intrigued as to what all the fuss was about. And as it turns out, i didn’t think this movie was anything more than average, and far from the ‘Masterpiece’ it is being labeled as. A masterpiece of stop-motion technology? Definitely. But a Masterpiece film it is not. What this film did incredibly well was it managed to capture human emotions, movements and performances so perfectly that you completely forget you are watching an animation. The way Director Charlie Kaufman brings these figures to life is amazing to see, and the performances he gets out of them are better than what you get from real people. This also brought life to the characters of Michael and Lisa and really allowed you to see them as real people with real distinct personalities. Michael is one of the more realistic and grounded human characters of 2015, he is clearly conflicted and has many flaws but none of them are hidden in favour of the story. I cannot stress enough how much he seems like a real person, that aspect of the film, the character creation, development, and exploration is like nothing i have ever seen in a stop-motion film, so i will give credit where credit is due. But other than that the film didn’t have anything to offer. The storytelling was rather dull, depressing and only had a few moments where it was kinda engaging. When i say ‘story’ i am really talking about Michael’s journey to Cincinnati and the relationship between Michael and Lisa that ensues. It is rather light on story as it is focusing on the characters more, but with the overall tone and the events that occur it does get to some fairly dark and depressing levels that were hard to get into. It takes some kinda interesting turns occasionally and most definitely was not predictable but for the rest of the film i was left wanting more than just impressive Stop-Motion. The film begins and you start asking questions, then it keeps going and you start asking more and more questions whilst only receiving a few ambiguous answers. The reason why i feel this film is going to generate a lot of differing opinions is that it does require quite a bit of thinking on behalf of the viewer to come to a conclusion to what it all means. This is very evident from the directors choice to have David Thewlis voice Michael, Jennifer Jason Leigh voice Lisa, and Tom Noonan voice literally “everyone else”. It is definitely an artistic choice and not one based on laziness or budget issues, but it will raise a lot of questions with some people, and just bore others. So in the end this was an overall disappointing and very overrated film that still had what may be the best use of stop-motion animation i have ever seen. It takes someone with a love for the artistic side of films to really get anything at all out of it, as to any casual movie-goer it will probably come across as a boring mess which is completely understandable. Watch it if you want, form your own opinion, i just hope it doesn’t make an impact at the Oscars.